Our 9:00 a.m. service is a more casual service with contemporary Christian songs led by a praise band. It is held in the chapel/parlor. Nursery care is provided for infants to 3 years, or children are welcome to remain in worship with their families. There is an activity area available with books, art supplies, and toys which allows you and your children to still be a part of worship. Our 10:30 a.m. service is a traditional service held in the sanctuary. There is always excellent music offered by our organist/pianist, adult choir, handbell choir, or guest musicians. Children are invited to join their families in praise and worship or staffed childcare is available for infants through 3 years old downstairs in Rooms 107 and 109. There is a room located at the back of the sanctuary for parents with babies or small children to stay together and still see and hear the service. There is a special time of the service for the pastor to share a story or teach a concept specifically for children. Following this time children age 4 through 5th grade may attend Godly Play, remain with their parents, or make use of an activity table with books, art supplies, and crafts. Have questions about our worship services? Read our FAQ. We are proud of our Godly Play and Connect classes, and our growing middle school to senior high youth groups. Our youth participate in annual family camps, summer camps, and a mission trip. We host Tot Spot, Tuesday and Thursday mornings, a program for parents and toddlers sponsored by the local community college. 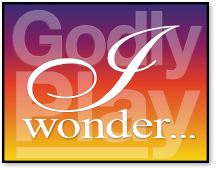 Godly Play is a Montessori-style learning setting where children explore Bible stories with artifacts and hands-on engagement with a sense of wonder and creativity. Led by nationally-certified teachers with a passion for helping children use their imaginations. Connect traces broad themes in the Bible that illustrate a God continuing to create and write God’s story…a story in which we are all characters. There is a game, video, discussion and a craft each week. Join us on the second Sunday of every month at 6:30 p.m. in the Chapel for a quiet hour of contemplative prayer. Check the calendar for the next service. 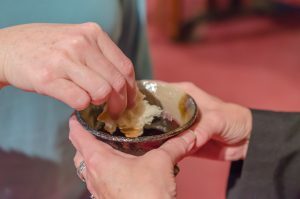 The Taizé (pronounced tah-ZAY) service offers a spiritual experience that many find missing in their personal lives or in traditional worship services. It consists of candlelight, song, silence, prayer and scripture reading. There is repetition in the words of the music, there are many periods of silence, and the readings are read slowly—all so that we may have a deep quiet grow in our hearts. Then we may be still and at peace in the presence of God. Come and find the quiet center…come and find the Divine…come and find yourself. Join us at 7:00 pm at Big House Brew Pub and Restaurant on the second and fourth Thursdays of the month. There will be adult beverages, good conversation, and fellowship. Check the calendar for current location and schedule. Bring a friend!